Shipping valid within the 48 contiguous states*. Batteries ship from various warehouses and usually deliver within 7 working days. 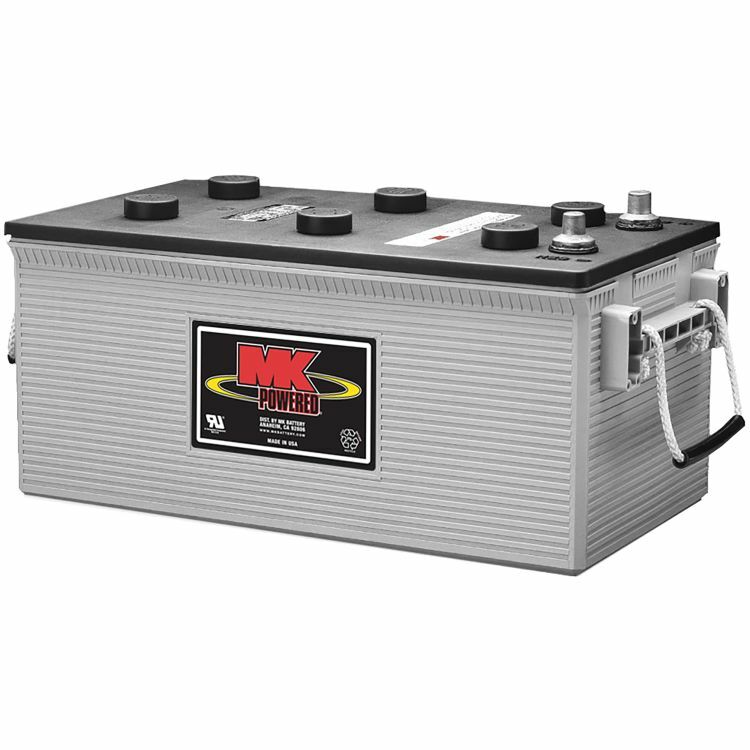 Advanced American Technology (Made in the United States) and the use of the most modern computer-aided design and manufacturing techniques combine to make MK Battery’s Sealed AGM Batteries the standard by which all other AGM batteries are judged. Made In the United States. This 8A8D battery is made in to fit where other 8D size batteries are being replaced. It is the perfect battery for RV, Marine, UPS, Standby Power, and other systems where you need a lot of power availible. NO SPECIAL HANDLING REQUIREMENTS for this 8A8D battery~ NON-SPILLABLE by DOT (Department of Transportation), ICAO (International Commercial Airline Organization) and IATA (International Airline Transportation Association) definitions. Do you own the 8A8D? Please, tell us what you think about it. It helps us provide you with better products. Please note that it may take up to 72 hours for your review to appear.